Pre-dating the present-day Azteca Dancers, this early dance troupe (from the 1970s?) was from Our Lady of Guadalupe (OLG) Church in Newton. Folkloric dances were performed on a routine basis. 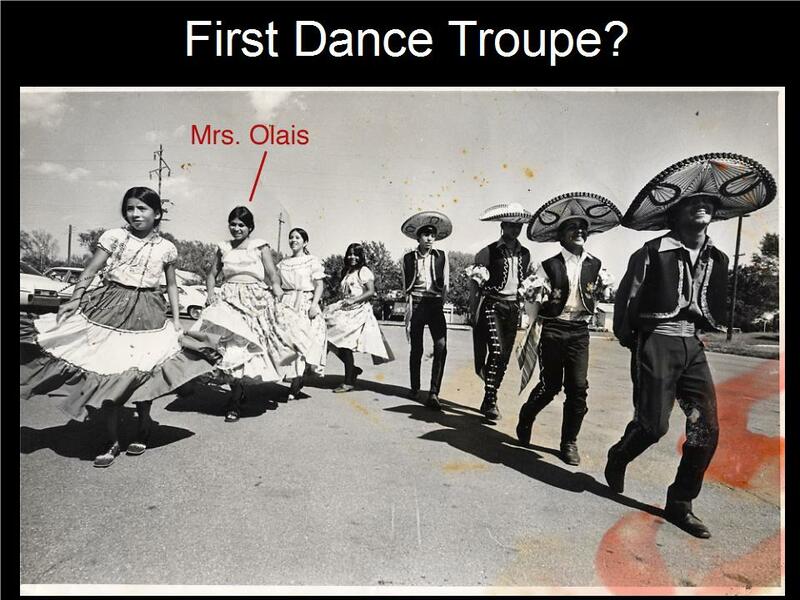 Dance troupes from OLG were disbanded in the 1980s when the fiestas were discontinued in Newton. Photo credit: collection of Ray & Patrice Olais.